You can never have enough houseplants. If this motto rings true for you, but you don't want to spend $$$ on new plants, propagation via stem cuttings might be the answer. Stem and tip cuttings are usually quick and easy from Coleus, Philodendron, Pothos, Cissus (Grape Ivy), Christmas Cactus, Begonia, and many more popular houseplants. Research your plant before starting surgery so you're sure of which method will work best. When propagating from stem and tip cuttings, choose a healthy stem several inches long. Using a sharp, sterile knife, make an angled cut about one half inch below a node (the nodes are those little swellings you see on the stem). Now remove the lower leaves, leaving two or three at the top. Your stems now need a medium that will allow them to grow new roots. A small container filled with moistened vermiculite, perlite, sand and/or a commercial sphagnum peat moss mix is often used. These materials make for the strongest roots and enhance your chances of success. Alternatively, you can try putting your stems into a small glass or other container of water. Many house plants will root just fine this way, and it can make for a nice project for children as they watch the roots grow day by day. Change the water every few days to avoid a stinky mess developing. 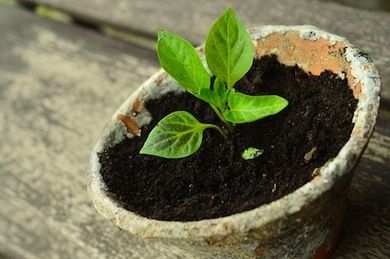 Give the plant two weeks or more to develop some nice long roots before transplanting into a pot with a good soil mix. If the plants grow on, pat yourself on the back. 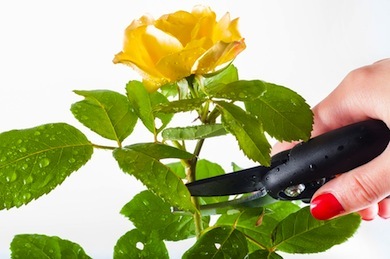 If the stem cuttings rot or die after transplanting, you can try again with new cuttings. Some people like the look of the growing roots and will place stem cuttings with extra leaves on them in a transparent vase as a decorative piece. Changing the water frequently is a must if you do this, as there's nothing decorative about a vase full of slimy, green roots! Plants like pothos can last quite a while like this, although you'll eventually have to throw the whole thing out when it starts looking sickly. Propagation allows you to not only add to your collection, but also the collections of friends. Plants you root and nurture yourself make nice gifts for birthdays, holidays, etc. They're personal, require little work, and cost little to create. You can't ask for more than that!